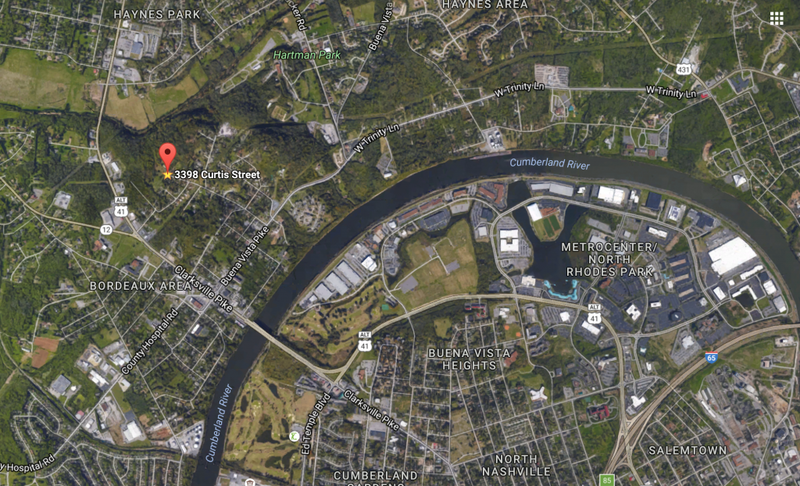 We have 31 Acres of Land available FOR SALE just 2 miles from the heart of Downtown Nashville. This 3 parcel portfolio is located in North Nashville’s Bordeaux neighborhood and is located right off of Clarksville Pike and White’s Creek Greenway. Interested in more information? Download Our Real Estate Flyer – Curtis Land Portfolio. 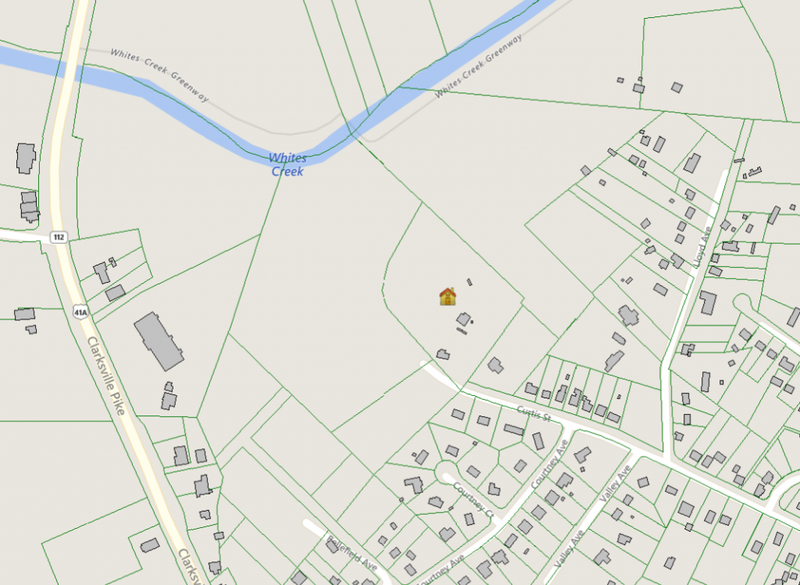 Parcel 3: Lincoln Ave., Nashville, TN, 37218 – 11.93 ACRES – Tax ID: 069-08-0-003.00. We had the pleasure of meeting with Metro Council Member for District 2, DeCosta Hastings, to find out what the Nashville community and local leaders want for the site. Feedback was positive for approving larger scale Mixed-Use and quality development in the area. Our site has easement access to Clarksville Pike through an adjacent 10 acre property, which is ideal for commercial development as a gateway into our 31 acre site. The council members we spoke with are not so much interested in low quality development, but more value being added to their communities as Nashville expands North. The Bordeaux neighborhood is a transitioning area within Metro that will continue to experience growth and demographic changes over the next 10 years. Anchor tenants such as Starbucks all the way to Big Box chains are preferred over the historically presented Check Into Cash and Fast Cash concepts. The Nashville council just recently nixed a deal to sell 48 acres in Bordeaux because it didn’t fit in with the long term goals of the community. 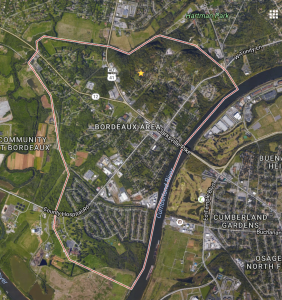 Council members would be interested in approving developments that include grocery and shopping, public amenities to connect to the Greenway accessible from our site, and quality housing options. Condos are preferred over Apartments and the community wants to see more amenities serving their community. A mix of affordability in housing is also preferred. 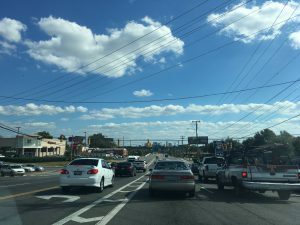 Clarksville Pike and Metro Center are both slated for millions in public and private investment over the next few years. Clarksville Pike will be widened to include 4 lanes, a turning lane, bike lanes and sidewalks. Metro Center, just south of our site, is slated to have a massive revitalization with additions of mixed-use, office, housing, and other amenities. The area is expected to change rapidly as many of these developments take hold. Getting on the books sooner than later with proposed developments for our site is ideal as both District 1 and 2 are expected to experience some of the most growth this term in all of metro Nashville. Access to major roadways has always been a strong factor for site selection in most every type of development. In recent years this access has began to shift more towards walkability and transit as the major preferences of both the Baby Boomer and Millennial generations continue to shape our built environment. Diversity of access and opportunity will become some of the main drivers of investment analysis if you want a strong portfolio that can withstand future markets. One of the major property highlights of our offering is the direct access to both White’s Creek and White’s Creek Greenway at the base of the site. 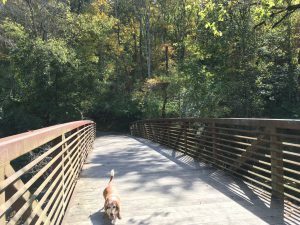 If you are interested in learning about trails in Nashville, Trail Link has most all of them mapped out for you. As metro continues to tie their trails, parks, and sidewalks together along with plans for future transit and development focused along those paths, Greenway access on the site could increase your investment significantly over the next decade. That is, if the right plan is developed with those opportunities in mind. We learned about the rise of these investment strategies from our time at Cumberland Region Tomorrow as well as from investments made in larger sister cities to Nashville that are shaping decisions concerning our growth. CEO’s for Cities posted a lengthy white paper outlining How Walkability Raises Home Values in U.S. Cities all the way back in 2009. One way to strategize opportunity for your real estate holdings is to work with the tide of public policy instead of against it. For instance, hearing that public funds will continue to be pumped towards certain initiates, neighborhoods, parks, or “deals” should be a strong indicator that other opportunities in those areas will also experience value increases by proxy. Ie. If you know that Nashville has plans for a major transit initiative in the upcoming years and stay abreast of where those plans are being directed, you can strategically look for real estate to purchase before those developments ever take place and cause prices to inflate. 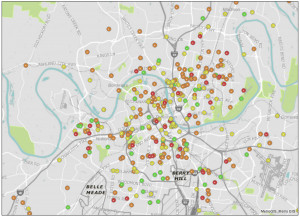 You can find an incredible amount of this information with links to Metro Nashville’s Interactive Mapping and GIS data as shown above. As an investor, you get to ride the wave of public and private investment as property values increase. And you got in on the bottom. Buy Low / Sell High! We use education based strategy in all of our investment purchases, both personal and for our clients. You will notice investment leaders also look for the inside scoop by staying close to politics and policy changes in their neighborhoods. Knowledge = Money when looking at real estate investment opportunity. Our offering has many of the factors that make for a strong development and the public policy to back up your investment. We can also help with the architecture and development itself as you plan how to best utilize the site for your goals. Don’t you want a win win for the community and your bank account by “Building a Beautiful South” with us throughout the process?